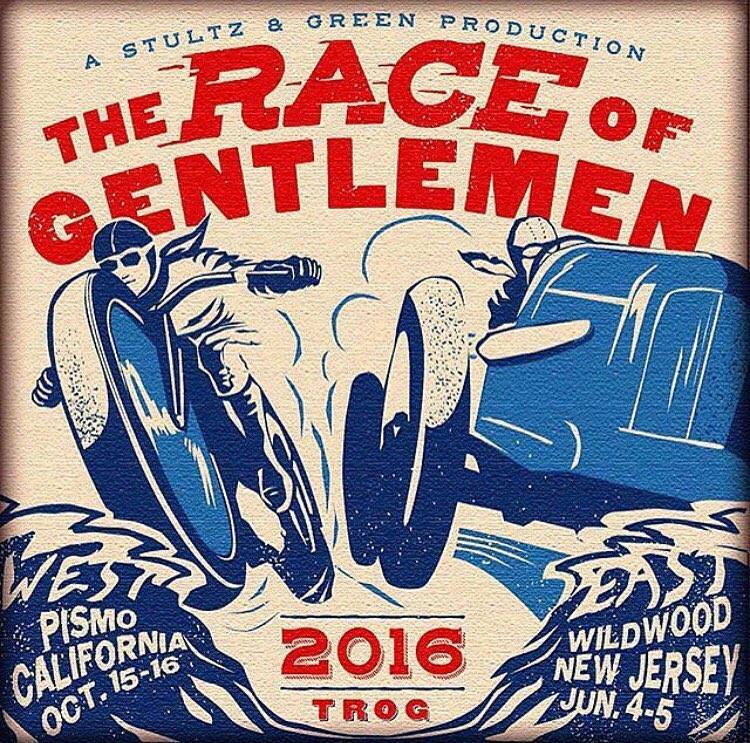 This was quite a year for the Race of Gentlemen and the Night of the Troglodytes Bike Show. 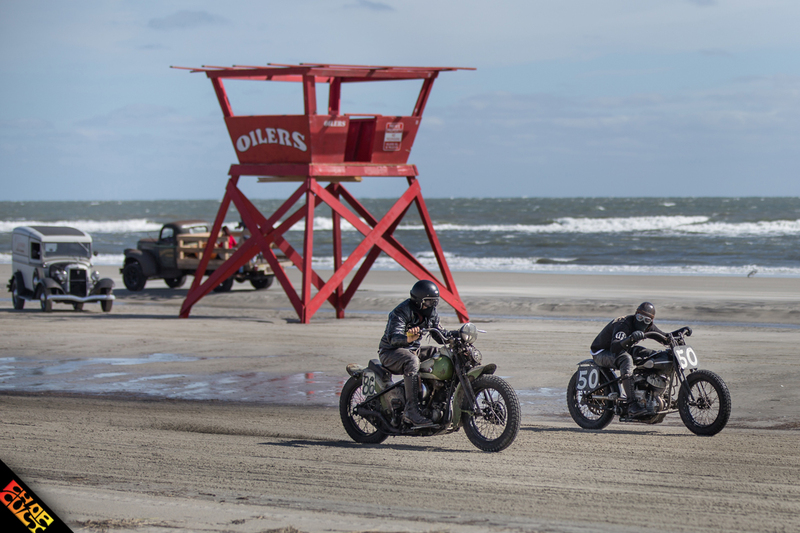 As with any event planned on the East Coast, especially the Northeast, the weather is always a roll of the dice, and that weekend was no exception. With a good chance of a major hurricane hitting the Wildwood, New Jersey area, organizers had made the decision to postpone the event until the following weekend. After we all made it to Jersey, mother nature made sure we didn’t forget who was in charge. Friday night was the Night of the Troglodytes Bike show and, despite heavy downpours for a good portion of the night, we managed to power through and party on. For many, this was a big part of the weekend. All of the bikes chosen for the show were pre-1979 and genuinely one-of-a kind. This was definitely the chopper highlight of the weekend. As expected, as the night progressed, so did the partying…boozin’, burnouts, shirts (and pants) off fun! 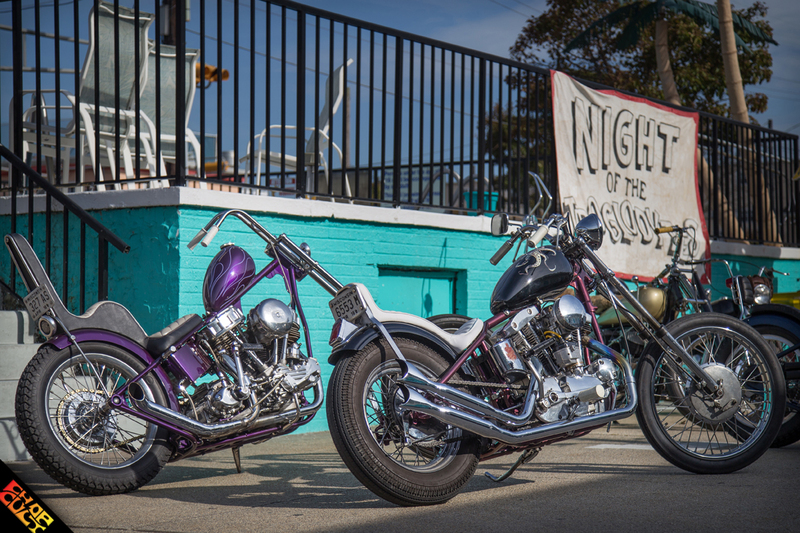 The combination of choppers filling the parking lot of the Surf Comber Motel and the classic cars lining the streets made a perfect backdrop for the show. 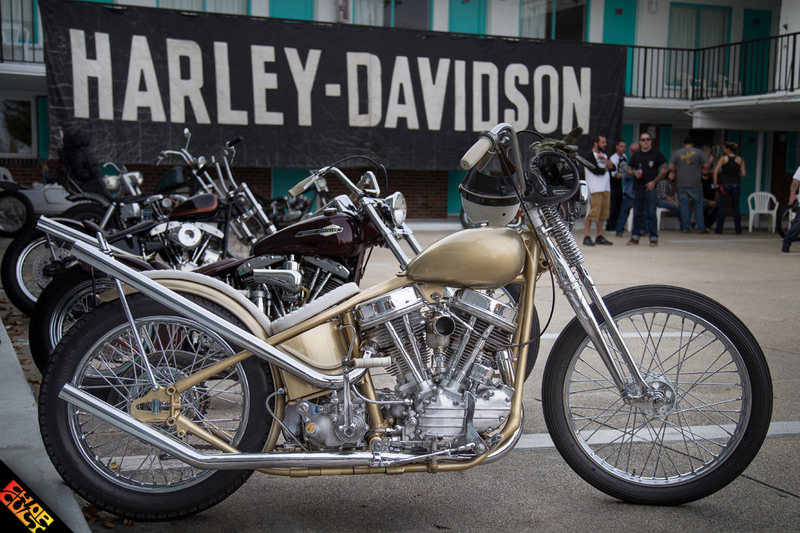 Harley Carrara, from Tradition Cycles, did an excellent job organizing this part of the weekend. He mentioned that there were choppers from all over the country and visitors from around the world in attendance. Saturday morning most of us headed to the beach to check out the races, bike and car and experience the carnival atmosphere that the TROG organizers worked so hard to accomplish. They had done a great job with the selection of vendors, small attractions, and sponsor displays. The pit area offered a cool place to watch everyone make last minute adjustments and repairs. Obviously, the races were the big attraction and there was plenty of action all day. As the roar of the vintage cars and bikes grew, so did the party. That night, after the first full day of races, a huge bonfire took place on the beach with bands, more boozing, and general chopper craziness. Sunday morning, racers got up early and started all over again. This was the fourth year of the event and, by the looks of pictures and coverage from the previous years, it is certainly growing. Some of the best pics of bikes and bikers I've seen in a long time. Well done. Great job! Time travel back to a time of beach racing and the pics are FANTASTIC!! !